What do you get when you combine the portability of the Game Boy with the the motion sensitivity of the Wii? The Nintendo Switch, apparently. Nintendo's newest console can be played in several different ways. The first is hooked up to a TV using an HDMI cable. It can also be used as a handheld device, by taking the tablet that's inside the central dock and attaching the two removable Joy-Con controllers to the sides. A stand allows users to prop the Switch up on a table, making it easy to play on a plane or outside. But that's not all. Each Joy-Con controller can be used individually for multiplayer games. Like the Wii's controllers, those on the Switch are motion sensitive and were the inspiration for a party game package Nintendo calls 1-2-Switch. The idea is that these games can be played without a screen so users can focus on their opponent's movements. 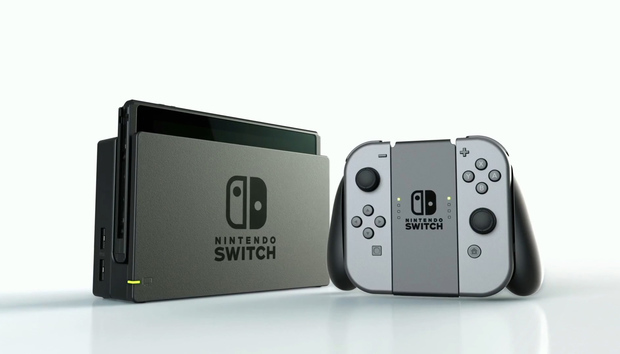 The Nintendo Switch will be available in the US, Canada, Japan, and major European countries on March 3 and will cost $299.